When I was being trained to be a military officer in the early 1970’s we were instructed never to be friends with the soldiers reporting to us. Fraternization and friendship were to be avoided at all costs. Both of these actions could place the leader in jeopardy in terms of making right decisions by being unduly influenced by the concern for one person over the good of the group or the mission. Second, research suggests that the millennial generation want a relationship/friendship with their leaders. 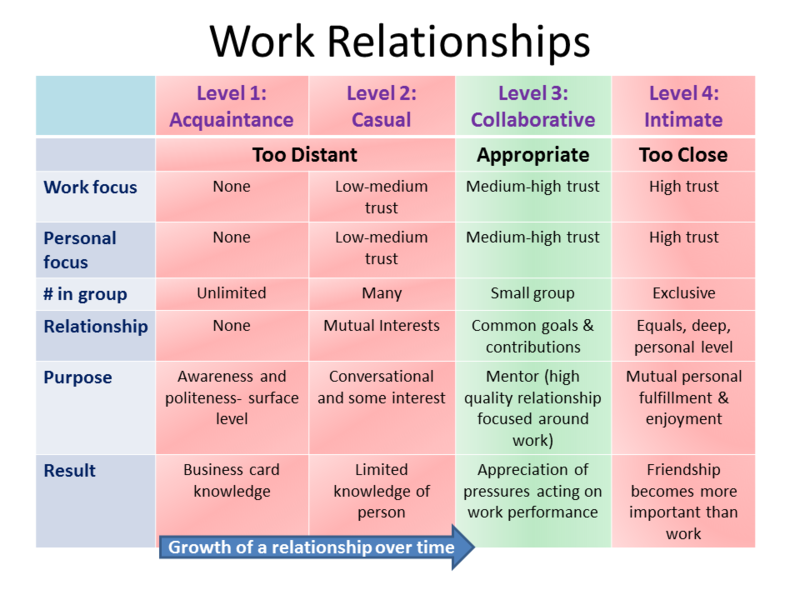 According to The Millennial Compass, millennial workers do not want a hierarchical relationship with their boss, they desire collegial relationships. LinkedIn conducted a survey which suggests many millennials say workplace friendships made them happy—half of those surveyed said such relationships motivate them, and 30 percent said these friendships make them productive. (http://www.businessweek.com/articles/2014-07-09/most-millennials-would-sacrifice-a-work-friendship-for-a-promotion). Life in the workplace is very different for millennials compared to outgoing baby boomers, another survey shows. Millennials are more likely to make friends with people at work, and consider work an extension of their lives, according to a LinkedIn poll. The survey suggests millennials socialize with their co-workers outside of work hours far more often, whether that’s simply sending e-mails or texts or going out for drinks. But just as quickly as friendships are formed, they can be sacrificed, with 68% of millennials saying they’d end a friendship for a promotion, while 58% of boomers would never even consider it. (http://business.financialpost.com/2014/07/08/millennials-are-way-more-cut-throat-than-most-of-us-think/). Third, there is a heavy emphasis on engagement and collaboration which places leaders and employees in close proximity for longer periods of time around significant issues. This can create a closeness which may lead to a deeper knowledge and appreciation of a person thereby creating conditions for a deeper friendship. When a person is hired you get an entire person. Henry Ford once bemoaned, “Why is it that I always get a whole person, when what I really want is a pair of hands?” What happens to people outside the 9-6 time slot affects 9-6 performance. To be a leader demands caring about people and people’s lives extend beyond the work week. So a leader cannot be aloof or unconcerned about life outside the work place. At the same time, a good leader must integrate a high concern for productivity with a high concern for their people in everything they do. At the same time, a leader cannot be too close to staff. There is a distance that is appropriate and necessary for a leader to maintain. The questions are “does being a friend interfere with being a leader?” and, if so, “where is that line?” According to “Be the Boss, Not A Friend”, the role of a leader is often significantly different from the role of a friend meaning that the roles are not mutually compatible. Consider these areas discussed in that article (http://fortune.com/2011/01/18/be-the-boss-not-a-friend/). • Friendship exists for itself – it accepts people the way they are. Leaders create change, growth and development in people and organizations. • Friends are equals – rank or position is not considered in a friendship. • Friends accept each other as they are. Leaders must deal with issues that need to be addressed such as deficiencies or shortcomings. • As a practical matter, a leader cannot be friends with all his or her people equally. Leaders cannot have or play favorites. • Friends do not hurt friends. Sooner or later a leader may have to decide against, disappoint, criticize, discipline, demote, or even fire someone who works for him or her. To someone who thought they were a friend, those actions can feel like a personal betrayal and often damages and even destroy that person’s commitment to the work and to the leader. 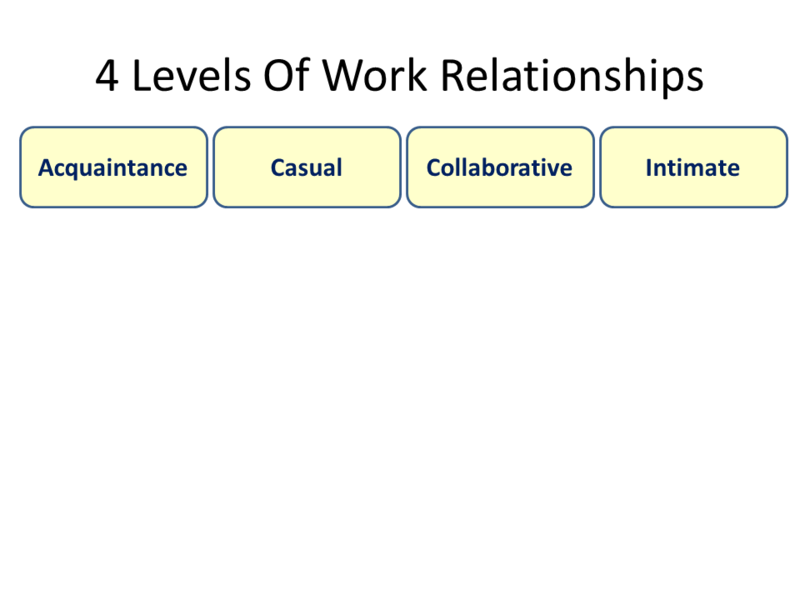 The appropriate relationship between a leader and staff can be clarified by considering the 4 levels of work relationships. Leaders who genuinely care about their people can find themselves being drawn into friendships that are deeper and more exclusive than they should be. How can the leader tell when they are about to cross that line? Below are several guidelines that can serve as warning flags when a collaborative business relationship begins to turn into an inappropriate level of business friendship. I. The relationship minimizes others’ access and contributions. • It minimizes others ability to access the leader’s time or attention. • A person’s opinion is more highly valued because of the relationship (not logic) and others are not listened to. II. A person is treated differently. • A different set of performance criteria are used to measure accomplishments and provide assignments, rewards and recognition. • Mistakes, errors and low performance are overlooked due to the relationship. III. Inappropriate information is shared. • Personal or confidential information is given to or received based on the relationship. IV. The leader learns personal information that places him, her or the organization in a future precarious position. • Some leaders dive too far into an employee’s personal life. Consider this scenario from Attorney Michael Schmidt on law.com. o Suppose the leader learns an employee is a member of a specific group or association or holds certain beliefs. o Suppose the boss must later discipline the employee because of performance issues. o The employee then could argue that the boss (and the organization) used the personal information as a basis for the action. V. The relationship inhibits objectivity by either or both parties. • The leader is unwilling to provide negative feedback to the employee. • The employee is unwilling to give negative feedback about the leaders actions. • A corollary is the leader is hurt or offended by an employee’s criticism because he or she was thought to be a friend. V. The relationship is stronger after hours than during work hours. • Others see real or perceived favoritism become jealous or threatened and take it out on the employee, leader or both. • The relationship with one person excludes others from the work inner circle. • The leader does not act without seeking this person’s opinion to the exclusion of others. • The leader goes to lunch and meetings with this person regularly to the exclusion of others. The real danger of personal work friendships is often subtle. Consequences and implications occur slowly and are often unnoticed early (and many times until it is too late). The admonition to leaders in considering work friendships is, “count the cost” before a relationship becomes too aloof or too close. What would you add? Doug, you are right in your question. Thank you. 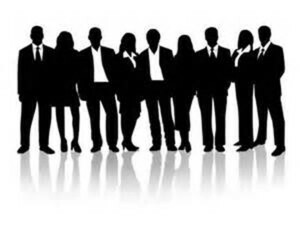 Truely effective leaders are not more than 15% in the business world. This means that 85% of leaders may create problems in organizations due to their mismanagement in work relationship. This situation can create low productivity, high cost in the short-term, and failure in the long-term in business. 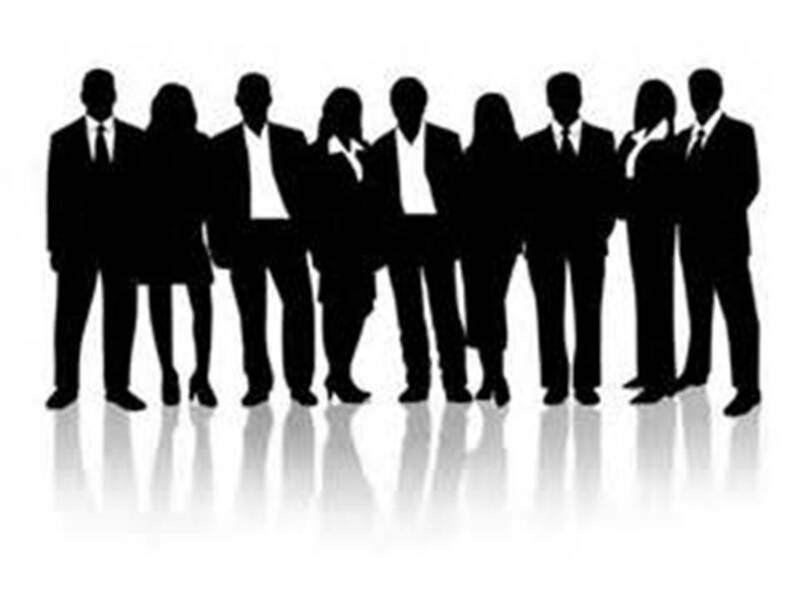 Of course if the number of true leaders is more in an organization this will create higher productivity, organizational alignment, lower cost, high profitability, and higher customer value.